Check out this amazing throwback article from the September 1985 Wine Spectator featuring Patrick Campbell after his first release of Laurel Glen Vineyard Sonoma Mountain Cabernet Sauvignon. The beginning of the legend. 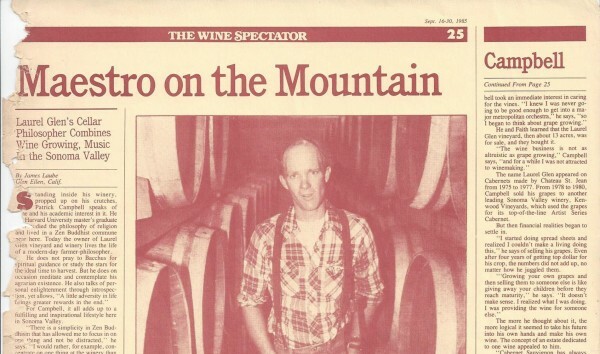 This “cellar philosopher” is still composing some amazing wines!